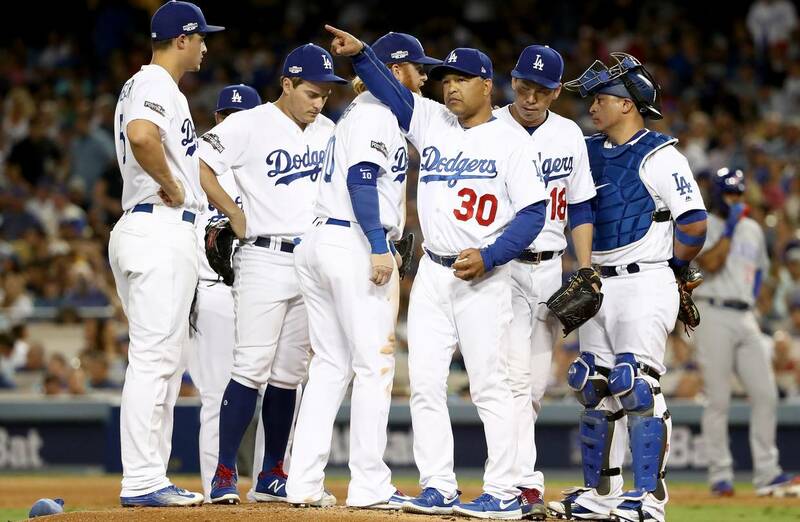 The Los Angeles Dodgers are slowly returning to winning form, but at the same time keep losing their pitchers. The bullpen is already being overworked by Major League Baseball standards and Thursday’s performance may have been their best yet this season. Just prior to the start of Thursday’s game against Pittsburgh, the Dodgers scratched Dennis Santana one of their spot starters. It did not matter though, as nine relievers took to the mound and were able to squeeze past the Pirates 8-7. The Dodgers had lost the previous day in a game that manager Dave Roberts used eight pitchers and only 12 hours later the bullpen door was opening and closing on a regular basis both early and often. Nonetheless, the Dodgers were able win their 15th game in their last 20 overall and return to .500 at 31-31. Roberts said following the game that it was a situation in which you must ask the players to do a bit more than they have been accustomed to and to stretch it a bit further. The Dodgers opened with Daniel Hudson on the mound who threw a scoreless first. He was starting for the first time since 2015, after Santana had complained of tightness in his right lat. Pedro Baez was credited with the win after retiring six, which was the most by any of the Los Angeles pitchers summoned by Roberts from the bullpen. Kenley Jansen pitched the ninth, allowing a home run from pinch-hitter Francisco Cervelli, but recorded his 15th save out of the 17 opportunities he has had this season. The Dodgers offense helped the pitching staff as Cody Bellinger and Joc Pederson each hit home runs with Pederson hitting two and Bellinger hitting one, which was his third in his last three games. Pederson’s solo shot led off the game and his two-run homer came in the eighth. It was the second time in the last week Pederson has had more than one home run in the same game. Bellinger was 3-for-4 in the game including his homer in the sixth inning that gave Los Angeles a lead of three runs. Bellinger was 5-for-54 entering the series with Pittsburgh but has decided to spray the ball around and not pull every pitch. The result was his home run to left-center in the sixth. Although the Dodgers are just 31-31, they are only 1 ½ games behind first place Arizona in a tightly contested National League West where first to last is separated by just 4 ½ games.